NOTE: This kit does NOT include frame filters. You have great products. That was my 2nd or 3rd kits I ordered. Thanks. Great service great parts delivered in timely manner. 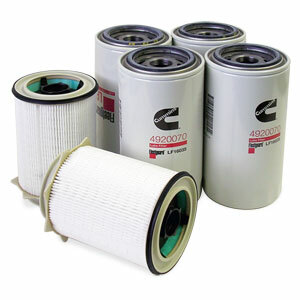 I struggle with finding the right filters separately, always trying to remember which brand is best for oil and which for fuel and where to get them for the best price. Geno's Garage makes for 1-stop-shopping at a reasonable price and I trust they're providing the most appropriate filters for my truck. These kits are perfect for those who don't drive a fixed number of miles on a consistent basis. These kits give you the flexibility to change the filters when you need to without having to wait or order then in a 'just in time' fashion. The part are as spec'ed by the manufacturer so quality is not an issue.